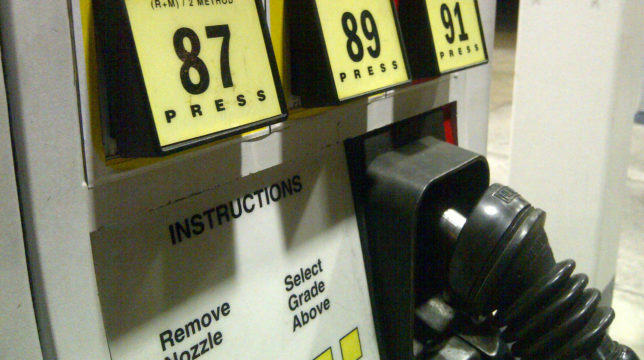 The average price of a gallon of self-serve regular gasoline in San Diego County remained unchanged Monday at $3.173. Over the weekend, the average gas price dropped 1.7 cents including 1.1 cents Saturday and six-tenths of a cent Sunday, according to figures from the AAA and Oil Price Information Service. The price has now dropped on 19 days over the past three weeks. Monday’s average price is 3.4 cents lower than last week and 3.9 cents less than one month ago but 44.2 cents higher than one year ago. San Diego’s average gas price is 1 cent higher than California’s average price and 69.7 cents higher than the national average.